Several heads turned. Together. The famous “Malaysia, Truly Asia” song was being performed at the Sofitel Mumbai’s Malaysian Magic Food Festival..... in Hindi. Wow! What a heart stealing moment it was for all. The evening that began with a scintillating performance by Briged Seni Melaka, the Malaysian Dance Troupe and ended with us relishing a lavish spread of authentic Malay creations had many highlights. We settled down with a glass of white wine to start our gastronomic journey. Pondicherry Café at Sofitel was abuzz with people waiting to try their favorite Malay dishes and enjoy an evening that gave us a glimpse of the vibrant culture. We started with Sup Kambing, which in Malay means mutton soup served very nicely in cute earthen cups. A traditional soup made with lamb or goat meat as per availability, is seasoned with select spices and herbs, mostly originating from the Tamil Nadu region- Interesting! Chunky lamb pieces added flavor to the clear broth that had tomatoes and carrots too- nice and light! Sup Kambing, simmers in an Earthen Pot. Next we walked across the selection of starters and saw a nice mix of vegetarian and non-vegetarian starters. We settled down with Kacang Panjang Goreng -fried long bean with spices and herbs, served a bit raw for our taste, Sayur Nenas Masak Gulai- eggplant cooked with spices, Ayam Masak Merah Delima - Chicken cooked with tomato. We finished them all and went back for seconds to return with some spicy prawns- Sambal Udang Kampung and Sayur Campur Goreng Jawa- vegetables like babycorn, broccoli and carrots stir fried with traditional Malaysian herbs. Both these dishes turned out to be our favorites. For the main course we were spoilt for choice. One has the option to enjoy the spread that comprises of delectable Indian and Continental dishes or choose dishes from the Malaysian corner. We tried the chicken curry cooked in coconut milk with tender tamarind leaves. Fresh lemongrass stalks added extra flavor to the curry and reminded us of the gastronomic times enjoyed during our visit to Langkawi, last year. Try the curry with Roti Jala, made fresh at the live station. A thick pouring batter made with flour, eggs, salt and thin coconut milk is dripped through a perforated cup (we enquired and yes, it had been procured all the way from Malaysia) into a hot pan to form a lacy pattern- our star dish of the day! Roti Jala- a delicacy one should try! One should also try the mild yellow pineapple curry cooked in coconut milk that had interesting sweet and sour flavors. We have always loved the dessert spread at Sofitel. 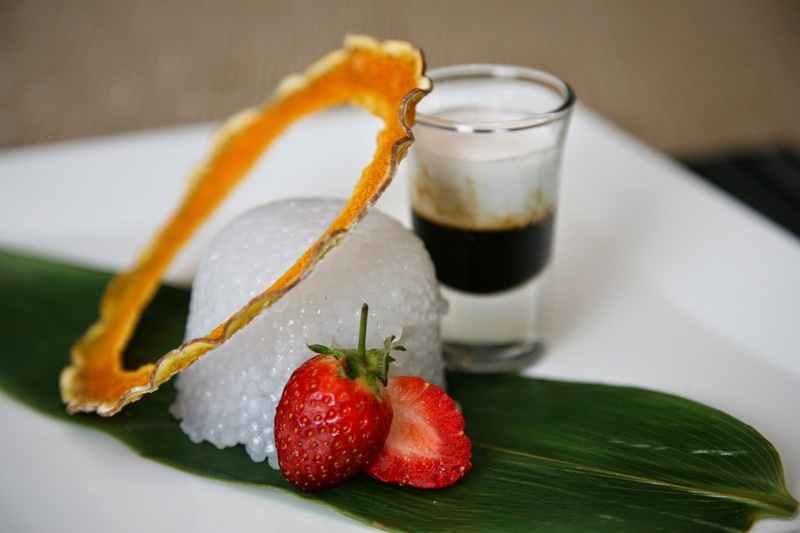 Apart from yummy desserts like mousse, shahi tukda and assorted pastries one could relish Malay desserts like Sago Gula Melaka, made with tapioca and coconut, Bubur Jagung- a sweet corn porridge and assorted mixed fruits. Low on sugar, these desserts were a delight. If you want to enjoy the magic of Malay cuisine nearer to the comfort of your homes in Mumbai, do visit the Malaysian Magic Festival at Sofitel. Chef Borhan Senin & Chef Haron Bin Dan have prepared a lavish spread to tease your taste buds that will leave you wanting for more. We found many common ingredients between Indian and Malay cuisines, like the use of coconut milk, tamarind leaves, nutmeg, cinnamon and more. The enchanting dance performances make the dining experience wonderful by showing glimpses of Melaka's rich cultural heritage. 7th November 2014 to 16th November 2014.